Pam McCutcheon is a former Air Force officer who spent ten years on active duty and ten years in civil service. She began writing fiction and co-owns an online bookstore. Her first published novel was Golden Prophecies. Her critique group, the Wyrd Sisters, also includes authors Jodi Dawson, Karen Fox, Paula Gill, Laura Hayden, Yvonne Jocks/Evelyn Vaughn, Maureen McKade, Angel Smits, and Deb Stover. 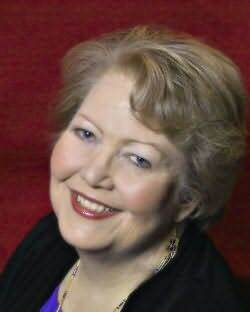 Pam McCutcheon published four romance novels for Harlequin American Romance, four for Kensington, two for Leisure Love Spell, and two how-to books for Gryphon Books for Writers. She has also written fantasy short stories under the name Pamela Luzier.